Restaurant 3 cooks all its food with love. Because of this statement on their website I booked a table. Who doesn’t like that? They also state that they incorporate local products which are distinct for their region. There is no better way to get to know a country than through the stomach. So on my first evening a set down to their ‘Taste Nature’ menu and let myself get surprised. 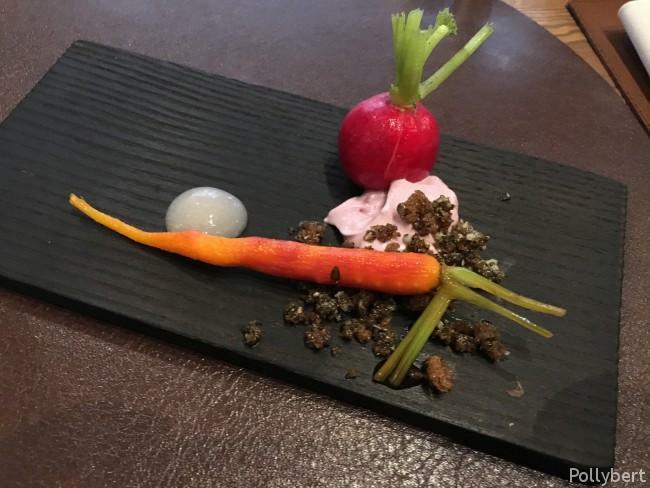 I started with a baby carrot marinated in quince, accompanied by a rhubarb cream, rye bread crumbs and a radish. It was a lovely and refreshing start, rather auspicious for the rest to come. The Rye bread crumbs were new to me. Good that I liked them though, they appeared quite often during the meal. 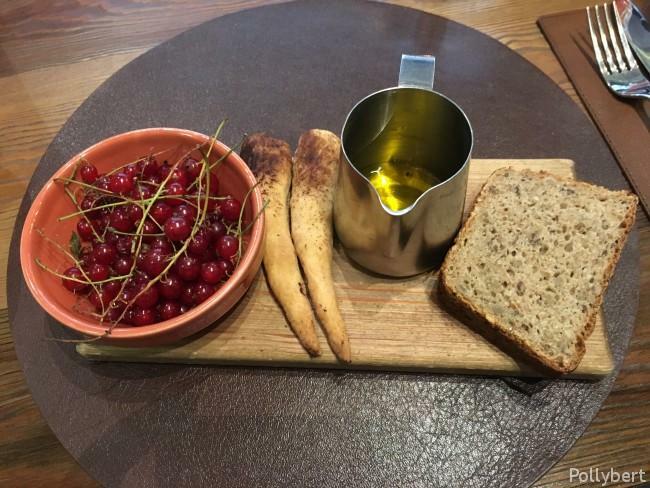 The bread “basket” was a slice of bread, some kind of trumpet like bread sticks, linseed oil in a small jug and red currants. I was not really sure what to do with the oil. I missed a small plate or bowl to pour it in. The bread and the sticks tasted great though and red currants were as sour as they need to be. My favorite course was the next one. Red beet foam, red beet snow, and horse-radish ice cream on rye bread crumbs. Altogether served with a red beet popsicle. The candied popsicle was too sweet for my taste but the red beet everything with the ice cream was absolutely stunning. The combination of flavors and different temperatures exploded in my mouth. That was so good! 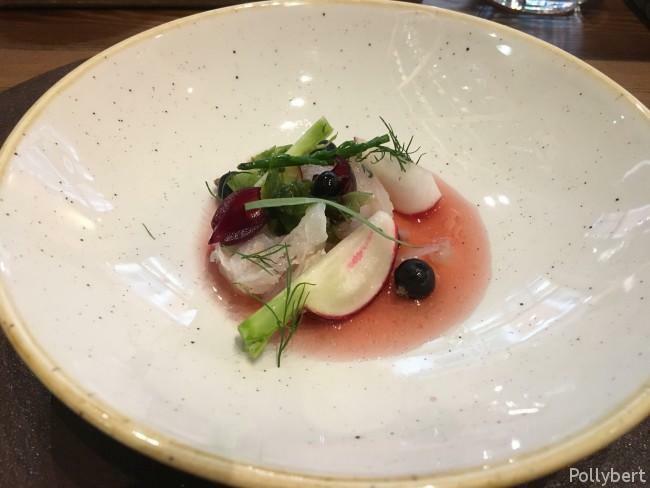 The next course was pike-perch with black currents, seaweed, dill, radish and a light red currant sauce, It was served with pickled shallots and grapes. 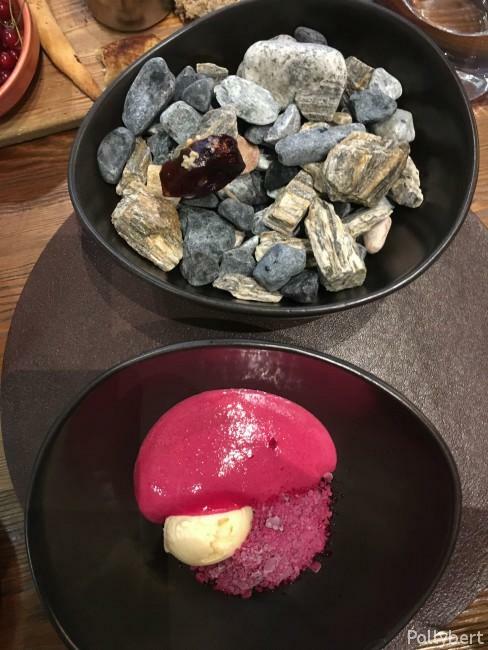 I don’t know if the kitchen did this dish a favor by serving it after the red beet course. The flavors were a lot subtler and needed time to enfold. Lovely combination though if you took your time with it. 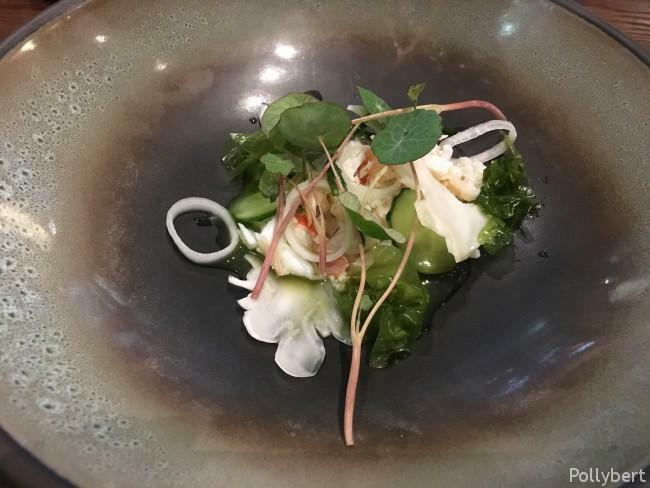 Then came a crab salad with shrimps from Greenland with cauliflower and seaweed again, onions, fresh pickled cucumbers (the fresh pickled cucumbers are amazing) and a cucumber and elderflower essence. The salad tasted of spring and fresh air and was very light. 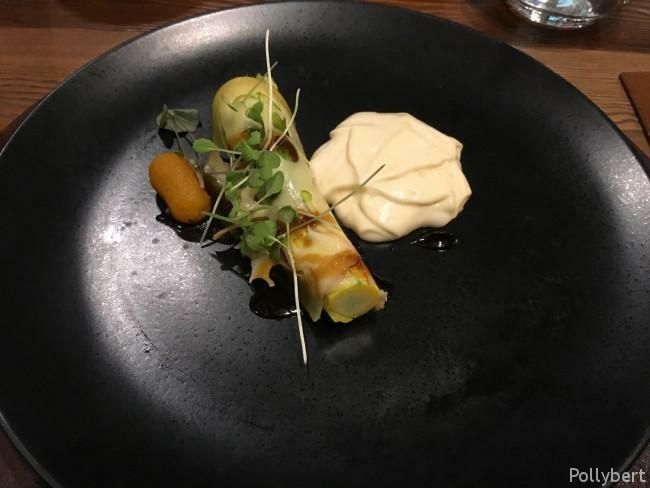 Unfortunately I have no picture of the next course which was buckwheat, carrots, chanterelle and a sauce of fried carrots which had been juiced after. Without a picture I cannot even say how it was. But consequently I must have rather liked it otherwise I certainly would have made a note. A zucchini flower with ‘Soira‘ cheese in different varieties and birch-sap syrup was up next . The cheese cream was intense in flavor and was wonderful with the zucchini. There was rather little seen of the flower. 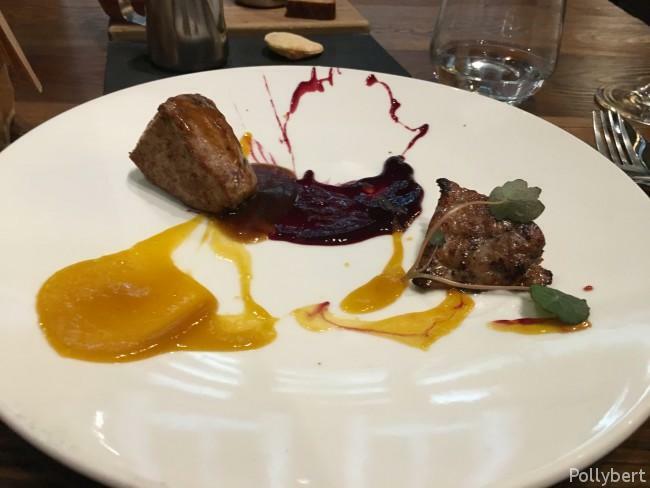 The main dish was the only thing that didn’t really convince me. It was veal and veal liver served with lavash bread and a bone sauce on the side. There was also a cloudberry and a red currant (looks more like black currant to me now) with juniper sauce on the plate. In contrast to the other dishes before, the whole thing looked messy and didn’t really meet my taste. So no, I didn’t like this one. The dessert was also very springlike and light. 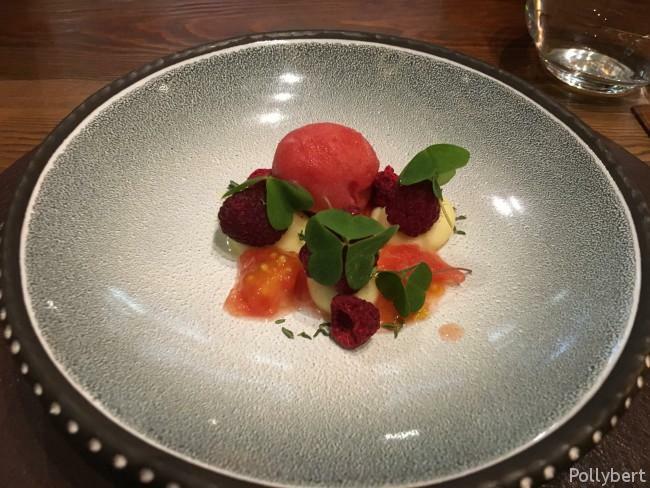 A tomato and raspberry ice cream with white chocolate cream, fresh raspberry, dried raspberry, sorrel and a kombucha and orange blossom sauce. The ice cream was so good. What a special taste! 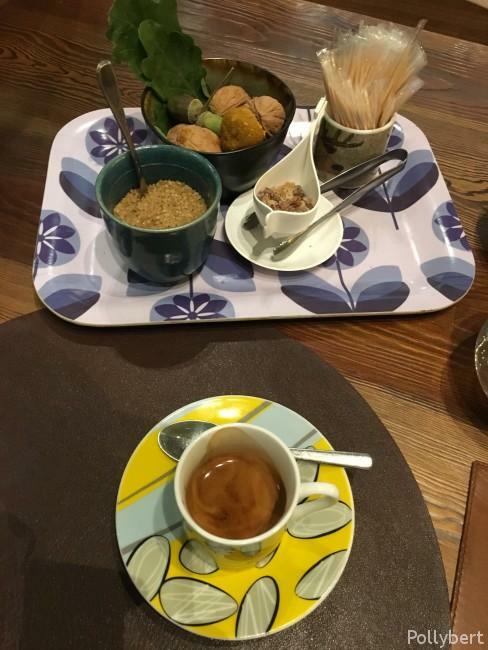 Coffee came with a bowl of nuts which included one that was salted caramel with pollen inside. That was yummy! Too bad there was only one caramel inside the bowl. I almost sniffed through the bowl like a squirrel to find some more balls. 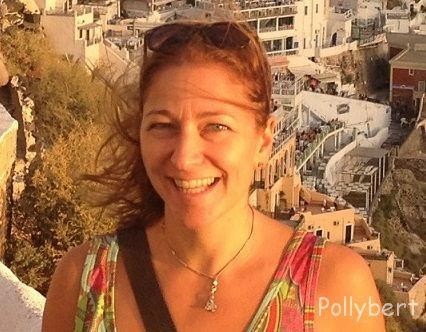 dining abroad, dining in Latvia, dining in Riga, Latvia, Latvian food, local food, restaurant review, Riga. Bookmark.